When a cold draft comes through the house it sends a chill down your spine. It usually hits you while you are sitting on the couch snuggled up watching your favorite Christmas movie! These cold drafts are coming from your windows and doors. BUT you can keep those chills away by sealing the deal with these tips! CAULK — To seal cracks less than ½ inch, use caulk. There are many kinds of caulk, based on application, select grade, interior, exterior, etc. There is even a special kind to get when you are sealing a crack near a stove or fireplace. SPRAY FOAM — To fill in small holes and large cracks, spray foam will do the trick. Because spray foam can get a little messy, consider using a latex based-foam. Do not use near things that are flammable. Keep in mind that you do not need to use types that expand on windows and doors. WEATHER STRIPPING — Weather stripping does wonders on the moving components of doors and windows. Check your weather stripping every year to ensure it is still working properly as it typically gets a lot of wear and tear causing it to be replaced more often. On top of sealing cracks and holes, there are also a few other tips and tricks that you can do to keep those chills away. Applying shades and/or drapes to your windows can help reduce heat loss by 10%. Allow the shades/drapes to be open during the day to allow sunlight in, which will help keep the home warm without having to turn the heat up so high. At night, close them to keep in the warm air, and cold air out. It is time to cover up your air conditioner. Although the weather in the state of Tennessee doesn’t get unbearably cold, it is smart to keep an eye on the weather in case there is a bad snow/ice storm coming. You may not find it necessary to cover up your air conditioner, but it could help prevent damage from happening during an ice storm or blizzard. Change your ceiling fan(s) to spin clockwise. By spinning clockwise and on a low speed, it will force the warm air back down to you. Clean out your gutters. We all know it’s not the most fun job out there, but it will help prevent damages to your roof caused by ice. Lower your thermostat by 5-10 degrees each night. This can help save 10-20 percent of energy. This is where programmable thermostats come in handy! If it feels like there is a little chill, throw on some extra layers, and pull out that afghan your grandma made for you! 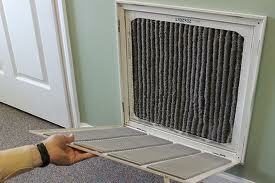 Check your furnace filters, make sure that they are clean and in contact. If not, replace them. You can find them at any hardware store, as well as many retail stores. This is an important task to do, because access build-up of dust and lent could cause a fire. We hope that these tips will help keep you warm this winter, as well as save you a little money! They always say, “Home is where the kitchen is.”, or well, that’s what we say! We feel like the place our families gather the most is in the kitchen – mainly to be closer to the food! So we got to thinking about what our kitchen looks like and how efficient it is in this day-and-age. Then we realized, a lot of people might be feeling just how we’re feeling towards our kitchen. Is it modern? Is it up-to-date? Does it look like I’m holding onto the past? Don’t worry, we totally understand. This post is going to focus solely on the kitchen trends of 2016, so you can be as hip as the rest of them! Also known as “tuxedo cabinets”, having cabinets that are painted or treated with two different colors is coming back in a big way. The key is to have the tops or the bottoms of the cabinets in a neutral color. So if you are planning on painting the tops in a deep green, then try to stick to whites, greys, etc. on the bottom. This will add balance and not be overwhelming to the eye. This is becoming a big trend for smaller kitchens to help them appear larger. Many people are opting to making their cabinets have glass windows where you can see their dishes and glassware inside. This helps breakup the upper cabinets from the lower and give the illusion of a bigger kitchen space. This style is coming back from the way, way, way past – like the start of America past! Kitchens today are embracing their roots and having mismatched chairs, flatware, and strong rustic vibes. This look, also known as the Farmhouse look, includes open shelving, wooden textures, and antique (or antique looking) finds. This can be a fun style to play with, but make sure you stick to a color palette of two – maybe three – colors and tones. You don’t want your kitchen to look too thrifty. Kitchens are becoming more and more hi-tech. With designated spaces for your smart devices or even smart appliances, it’s hard not to welcome the ease that comes with this new trend. A lot of kitchens are even starting to have small appliances built-in the kitchen rather than out on the counter tops, such as, coffee makers, toasters, blenders, etc. You can find many of these behind a cabinet door where all you have to do is pull on the drawer, use it, and push it back into the cabinet. Added bonus is it leaves extra counter space for you to work on! Another trend that is hard to ignore is how many people are starting to have their kitchens and living rooms become one (almost). Many home designs are building on an “open floorplan” with Great Rooms. It is helping people feel connected to the rest of the home while in the kitchen whipping up a meal. An added bonus: it’s a great way to be able to watch your favorite shows while you’re cooking! We hope these few kitchen trends help you feel more with the times and we would love to see your photos of your new-and-improved kitchen! Everyone takes their HVAC system for granted, as long as it is working. But let it stop working properly and life as we know it tends to change! You don’t have to be an HVAC novice to increase the life of your heating and cooling system. One of the most often overlooked and neglected part of your HVAC is the simplest and inexpensive to maintain – the return air filter. A dirty return air filter not only reduces the efficiency of your system, but can take years of useful life off of your equipment. A well-maintained HVAC unit can last over 20 years in our environment! Can you imagine having to breathe fresh air through this dirty filter? Installing a new return air filter, at least every 90 days, will not only increase your system’s efficiency, but extend it’s service life. 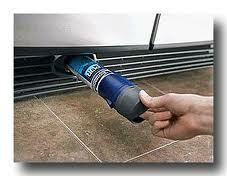 New return air filters are inexpensive and readily available at most home improvement and grocery stores! 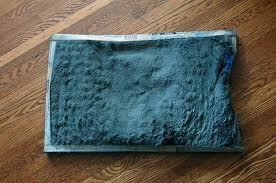 There are other components of your HVAC system that need regular cleaning by an HVAC service professional. 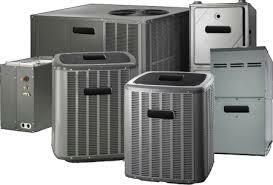 Most HVAC service companies offer a very competitive price to clean and service your unit on a regular basis. Tennessee Mechanical Corporation and Roscoe Brown. With cooler weather approaching, now is a great time to inspect your heating system so it is there for you when you really need it! 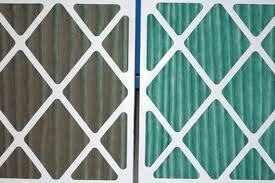 Home Maintenance Tips – Changing your filters can save thousands. You’ve moved in to your very own new home, and the best part about it is that everything is new – nothing to fix, and all you have to do is nest. And in the event something does go wrong, you have your Ole South Hew Home Warranty to take care of the problem! Right? Well, almost right. There are some easy items you need to form habits with that will save you thousands of dollars over the years to come…… CHANGING FILTERS! 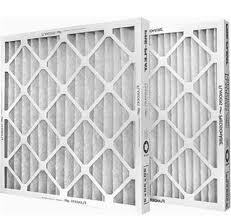 Its easy to forget about changing your air return filter, but neglecting it could cost you a bunch in the future. Just like you, your house breathes every day, circulating and filtering the air from within. How often you change these really depends on the filter you purchase. If you buy the less-expensive filters, plan on changing them once each month – when you make your monthly house payment is a good practice! More expensive filters typically last longer between recommended changes so consult the manufacturer label before you decide. Regardless, change them consistently and make certain to install them with the arrow pointing in with the flow of air! Another filter that is often overlooked is the fresh water filter, found on most refrigerators with water/ice dispensers. It is recommended to change these every six months. Resetting the indicator light after changing is very easy – on most models by pushing the reset button five times. Here is a helpful video that applies to Whirlpool Appliances, which are used in new Ole South homes. Failure to regularly replace this filter can be very costly, as a clogged filter will leak without warning, and more than likely when you are away for a period of time! Those with hardwood flooring need to pay extra attention to changing this filter regularly. Following these recommendations will help you maximize the many benefits of purchasing a new Ole South home!